All parents know that if your toddler or preschooler is having a hard time sitting still at the table, you’re more likely to end up picking up your child instead of your fork. The strange sounds and smells of a busy restaurant can prove overwhelming for a young kid that’s not used to that environment, and therefore the experience can become fairly challenging to you. In fact, many fast-food places know this and for decades they have profited on the idea that it’s impossible to take your toddler out for a meal unless the place actually has an indoor playground. But this doesn’t have to be true! 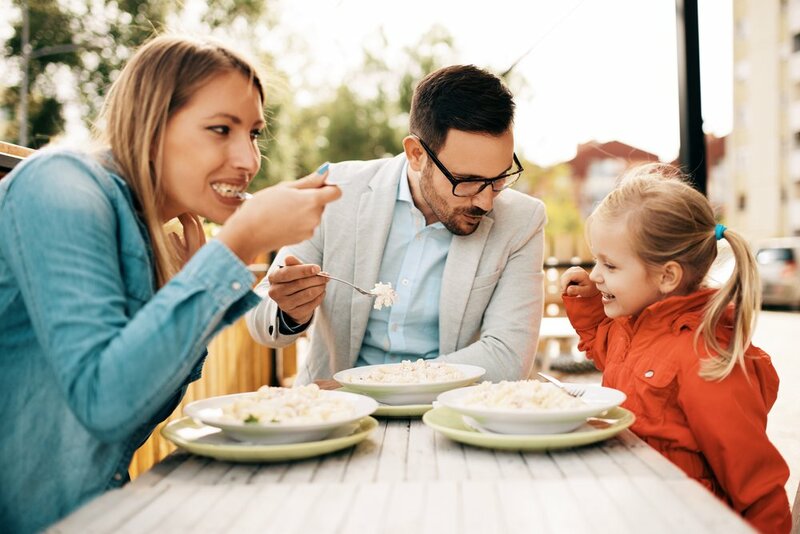 We know that spending quality time with your partner is a crucial part of raising a happy family, and although eating out might sound very tempting, the idea of spending more money on a babysitter than the actual meal might be deterring you. Well, today we want to tell you that eating out and bringing your daughter along is not just a fantasy! You only need to do a bit of planning ahead. Prepare. Try to know beforehand if the restaurant offers what you need, or if they have a no-kids’ policy. Surprises are probably not what you’re looking for on the menu. Make sure your kid likes something in the menu (at least one option). If it’s her first meal out, choosing a restaurant that’s somewhat kid-friendly might be a better pick than opting for that candle-lighted restaurant. Ask for your child’s order to be brought first. If you order your kid’s food alongside your drinks or starters, it will have time to get comfortably lukewarm instead of scalding hot, and you will avoid a hangry-kid scene. Be considerate with other people and staff. Your energized toddler might get up from the table in a sprint and knock someone over (accidents do happen), but it’ll easier for everyone if you try and explain to your daughter beforehand that she has to try and stay sited, maybe doing some drawing and coloring. If there’s a definitive need for physical activity, excuse yourself and go take a brisk short walk together.